We're suckers for watching the boys climb into things, even if we need those things for other purposes. 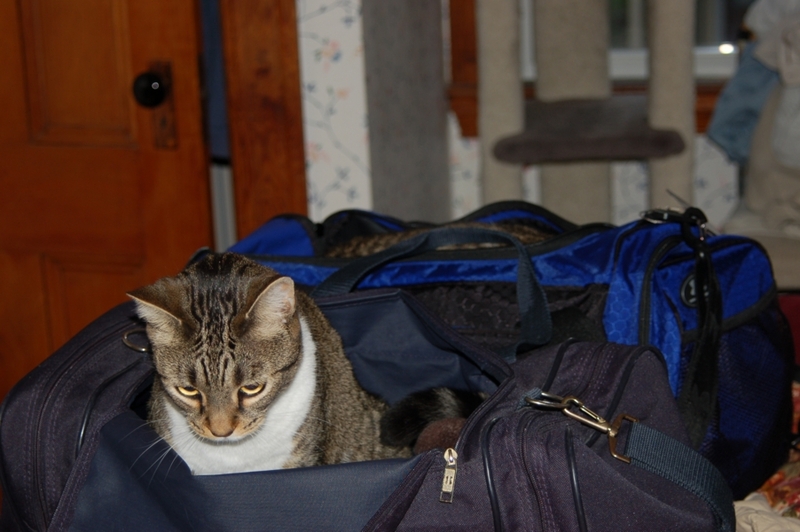 This picture is even cuter if you look carefully in the rear (light blue) suitcase and realize the black and brown stripe visible is the arch of Whitey's back. Whitey was too busy exploring to pose for the photographer.